In the section labelled Products, select on which product pages to display the timer. 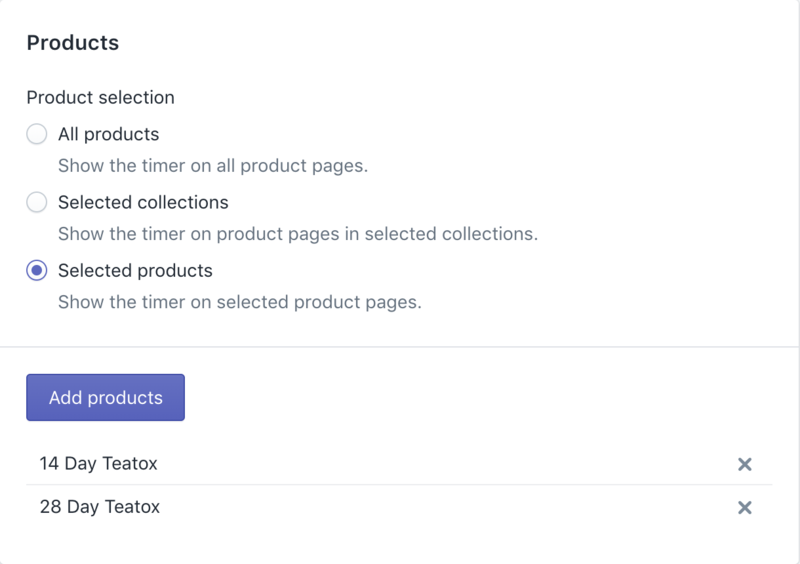 Only a single timer can be displayed on all product pages. 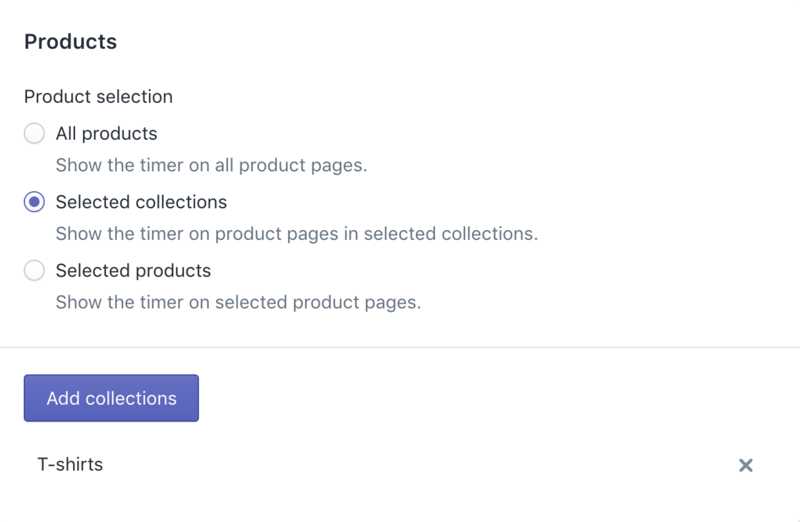 To show a timer on all products within a collection, select the Selected collections option. Click the Add collections button, and then select from a list of collections in the store. When confirmed, the collections will be listed below. To remove a collection from the list, click the X icon next to the name of the collection. Each collection cannot be used in multiple timers. To show a timer on specific product pages, select the Selected products option. Click the Add products button, and then select from a list of products in the store. When confirmed, the products will be listed below. To remove a product from the list, click the X icon next to the name of the product. Each product cannot be used in multiple timers.